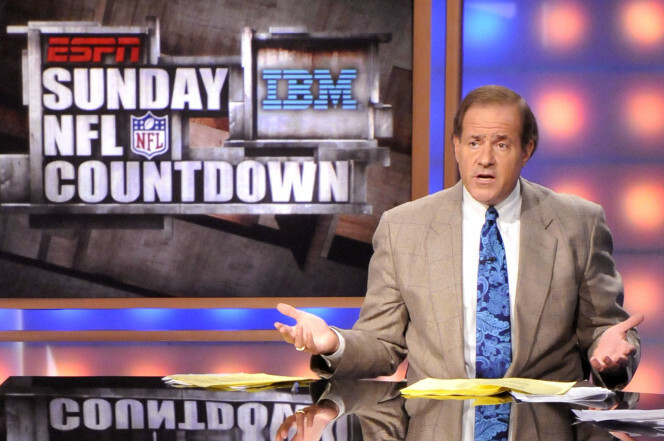 ESPN’s Chris Berman is retiring after the 2016 season, TheBigLead.com reported Thursday. Berman, 61, is an original ESPN employee and the host of two of the network’s most popular NFL-related shows, Sunday NFL Countdown and Monday Night Countdown. The report said Berman is in the final year of his contract and will retire sometime after the end of the season that starts this September and ends with the Super Bowl next February. ESPN spokesman Josh Krulewitz declined comment to TheBigLead.com on the report. The report lists Trey Wingo and Suzy Kolber as potential Berman replacements. Wingo hosts NFL Live daily, and the report said there’s a “strong internal push” for Kolber to replace Berman. ESPN has made other changes to its extensive NFL coverage in recent weeks. Ray Lewis and Cris Carter are out at ESPN, and Randy Moss and Charles Woodson are among the new analysts set to join the network’s NFL coverage. The initial news about Bills wide receiver Sammy Watkins‘ broken foot came without a clear timeline for when he was expected back on the field and it has been followed by varied reports about when he might be cleared to return. Tyler Dunne of the Buffalo News had the first report about the break and later added that Watkins had surgery about a month ago to insert a screw designed to help recovery. Dunne and Mike Garafolo of FOX Sports both report that the “hope” is that he’ll be ready to go for the start of training camp. Adam Schefter of ESPN has a somewhat less optimistic report about Watkins’ outlook, though. Schefter reports that Watkins is expected to miss the preseason while his foot recovers. The latter timetable would push things close to the start of the regular season and Dunne added a note about the importance of not rushing Watkins back because of the risk of further injury. It seems likely, then, that Watkins, who had hip surgery before last season and dealt with calf and knee injuries during it, is going to be eased back into the mix whenever he does get the green light to resume football activities. If the Vikings are going to make good on running back Adrian Peterson’s recent suggestion that the team can win it all this season, the team will need stellar quarterback play from Teddy Bridgewater. 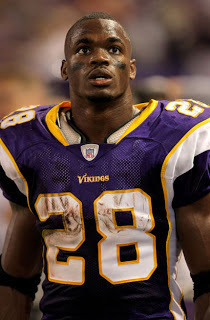 Peterson seems to believe that will happen. With more time to deliver the ball, Bridgewater will have more time to make Peterson think of one specific quarterback who has done fairly well for himself. The key will be improved offensive line play. Last year, the line struggled. This year, the Vikings have added Alex Boone and Andre Smith as coach Mike Zimmer tries to infuse a nastier demeanor into the unit. If, combined with better blocking, Bridgewater can get into the front of his prime while Peterson still has some solid years left, maybe this is the year when the pieces finally get put together. When the Giants won their last two Super Bowls, they had very strong line play, offensively and defensively. Currently, they don’t have a very strong offensive or defensive line. During the 2016 draft, the Giants drafted no offensive linemen and no defensive linemen. As pointed out by Ralph Vacchiano of the New York Daily News, it’s the first time in franchise history that neither line was addressed in the draft. 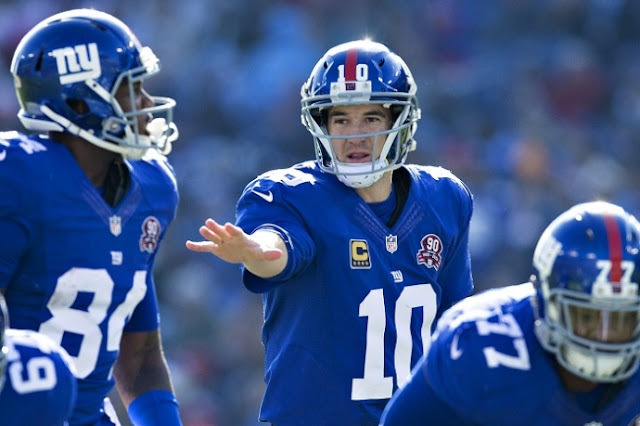 Ross noted, per Vacchiano, that the Giants have a pair of former first-rounders (Ereck Flowers and Justin Pugh) and a second-rounder (Weston Richburg). Tackle Jack Conklin was a possibility, but he was gone before the Giants selected. The Giants also spent millions on defensive linemen Damon Harrison and Olivier Vernon. The ceiling is high, so that shouldn’t be hard. At some point, the hay will be in the barn. As to the process of obtaining talent with the involuntary process of calling digs on incoming players, the hay (or lack of it) is already there.